Enjoy a cocktail with probiotic benefits! 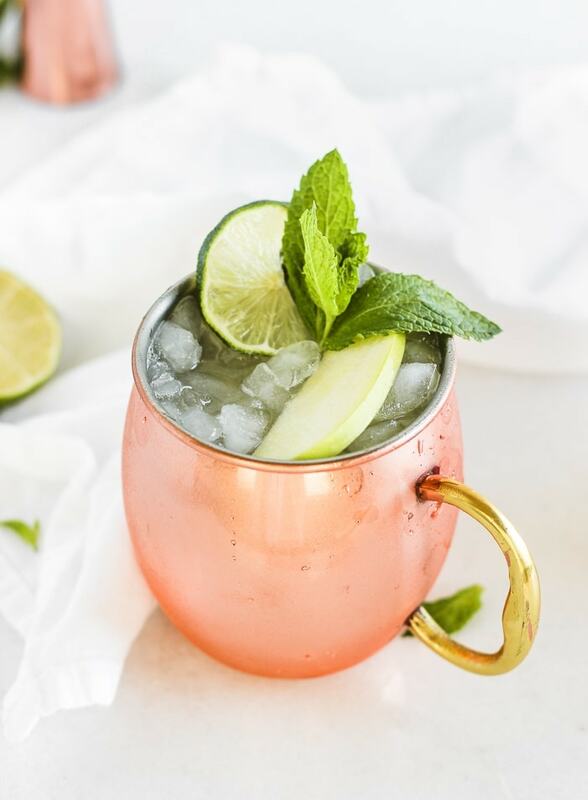 This gingery kombucha mule is a gut-healthy version of the refreshing Moscow Mule (alcoholic and non-alcoholic version). I don’t know about you, but by month 9 of my pregnancy, I’m about in need of a cocktail! Mama’s, weigh in – what month did your desire for a drink return? I’ve been ready for one since about month 8. Before that, alcohol just didn’t sound appealing in the least. But now that summer is approaching, a cold cocktail has been starting to sound great! I’m almost there, and in the meantime, I can enjoy the refreshing kombucha mule (sans alcohol, of course) as a festive substitute for a classic Moscow mule. And you can enjoy the full alcoholic version (if that’s your thing) to reap the benefits of probiotic-rich kombucha in a delicious cocktail! 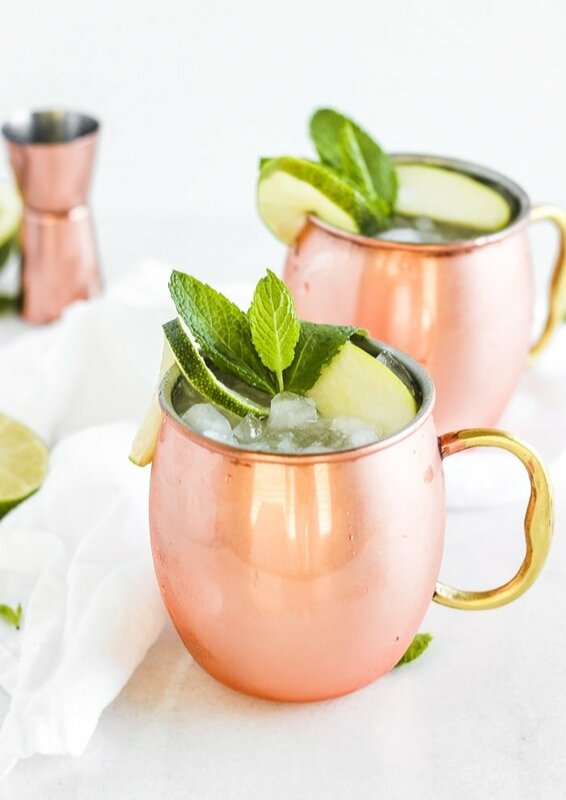 I love a good Moscow mule, so when I read this month’s Recipe ReDux theme, Probiotic Cocktails and Gut-Health Mocktails, I was super excited to make a gut-healthy twist on the Moscow mule. I knew a fizzy, ginger-flavored kombucha would be the perfect probiotic-rich swap for ginger beer. Not only does kombucha have probiotics that are beneficial for your gut health, thanks to the fermentation process, but it is also lower in sugar than most mixers, including ginger beer. That’s a double win for a healthier cocktail! 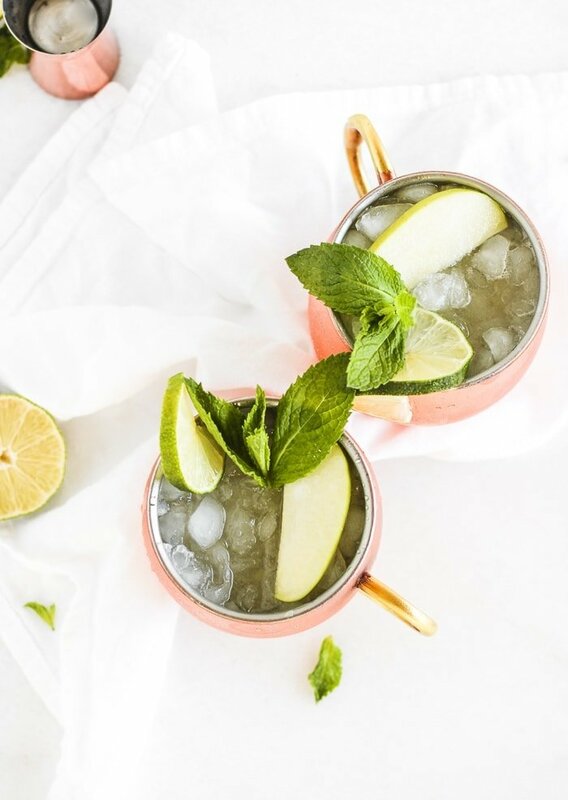 I used my favorite brand of kombucha, Holy Kombucha, in Green Apple Ginger flavor, giving this mule just a bit of apple kick that tastes delicious with granny smith apple and mint garnishes. And since kombucha has so much flavor, it makes a delicious mocktail, too! Just in case you’re waiting for a precious baby, like me, or you just prefer not to drink. A kombucha mule is much more fun than my standard club soda with lime that I’ve been sipping the past 9 months. 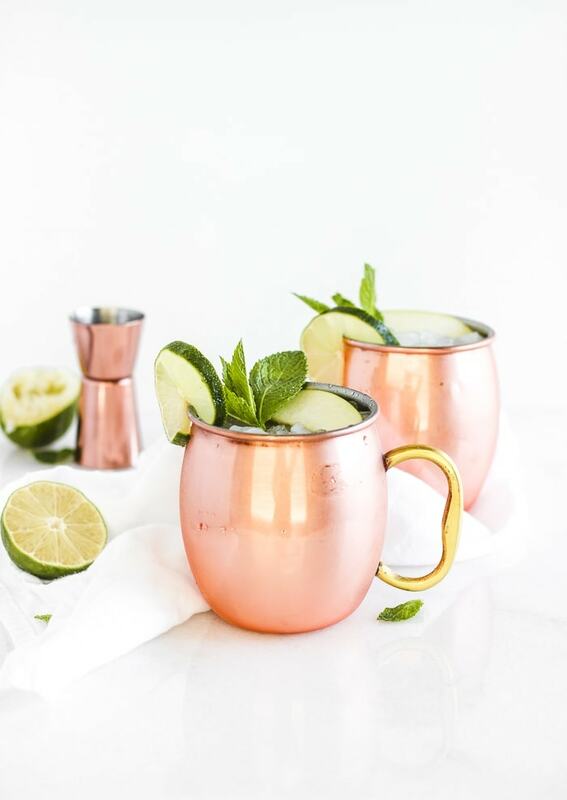 Try a kombucha mule for yourself, with or without vodka, for a delicious twist on a Moscow mule with some gut-friendly benefits! For more probiotic cocktails and mocktails, head to the Recipe ReDux linkup for some of my colleagues’ creations. 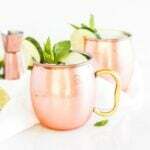 Fill a mule mug with crushed ice. Add vodka (if using) and lime juice. Top with kombucha and stir with a long cocktail spoon. Garnish with lime wedge, mint, and/or a slice of granny smith apple. Love all the ginger kombuchas out there. This is perfect for every one of them.